Apparent 'Pipe Bombs' Mailed To Clinton, Obama And CNN U.S. authorities have identified at least six suspicious packages that were mailed to leading Democratic figures and CNN since Monday. Some of them appear to be similar. At least seven suspicious packages containing what the FBI called potentially destructive devices have been sent since Monday to several leading Democratic Party figures and to CNN in New York, triggering a massive investigation. Authorities have yet to release any information about a possible suspect or suspects but, in an interview on CNN, New York City Police Commissioner James O'Neill said investigators are reviewing security video footage for clues as to who left the envelope at the network offices, the Associated Press reported. The package received on Wednesday morning at the Time Warner Center was delivered by a courier service, law enforcement sources told CNN. O'Neill said surveillance footage could lead to the identity of a messenger believed to have delivered a package containing an explosive device to the news channel's New York headquarters. He is "pretty sure those images will be caught on video and we'll be able to find out where that person came from before they entered the building and where they went to after." "The packages are similar in appearance," the FBI stated, "and contain potentially destructive devices." A photo released by CNN shows the small, rudimentary explosive wrapped in black electrical tape and a digital timer attached to the center. The packages were in manila envelopes with bubble-wrap interior, and the FBI says it is "possible that additional packages were mailed to other locations." Police, FBI and other emergency workers gather outside the Time Warner Center in New York City after an explosive device was found Wednesday morning at CNN's office in the building. "This appalling attack on our democracy must be vigorously prosecuted, and I am deeply disturbed by the way my name was used," she wrote. She confirmed that her offices in Sunrise and Aventura, Fla., were both evacuated "in an abundance of caution." Speaking at an event in Texas, Brennan, whose security clearance was recently revoked by the White House, touched on the bomb scare. "If I and others are being targeted because we're speaking out and we're living up to our responsibilities as citizens I think that's a very unfortunate turn of events," he said. 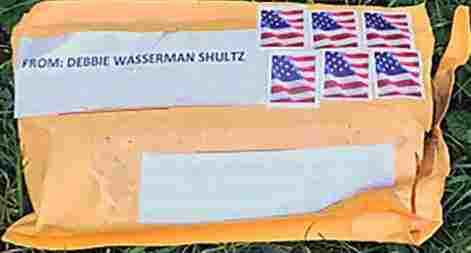 The FBI confirmed on Wednesday night that two packages, similar in appearance, were addressed to California Democratic Rep. Maxine Waters. Earlier in the day, Waters said U.S. Capitol Police intercepted a suspicious package targeting her office. Waters thanked law enforcement investigating the package and said in a statement, "I unequivocally condemn any and all acts of violence and terror." "This investigation is of the highest priority for the FBI. We have committed the full strength of the FBI's resources and, together with our partners on our Joint Terrorism Task Forces, we will continue to work to identify and arrest whoever is responsible for sending these packages," FBI Director Christopher Wray said in the statement. 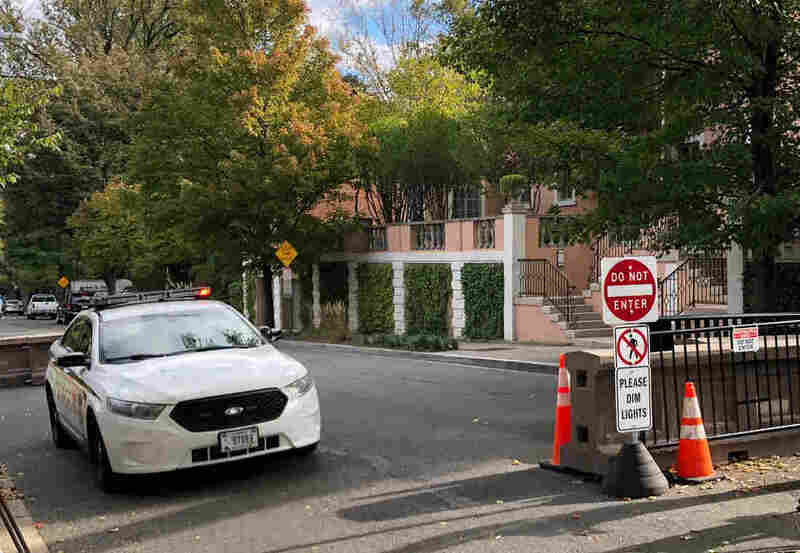 The Secret Service said Wednesday morning it had intercepted two suspicious packages that were addressed to former Secretary of State Hillary Clinton in Westchester County, N.Y., and former President Barack Obama's residence in Washington, D.C. 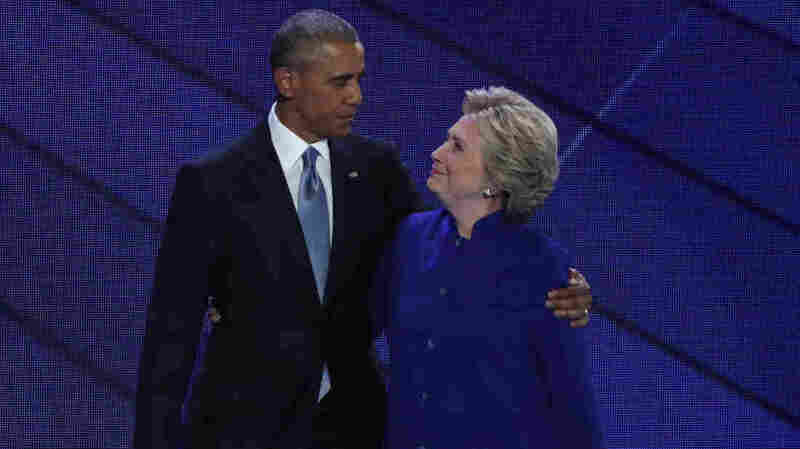 The Secret Service says the packages addressed to former Secretary of State Hillary Clinton and former President Barack Obama, seen here in 2016, "were immediately identified during routine mail screening procedures as potential explosive devices." 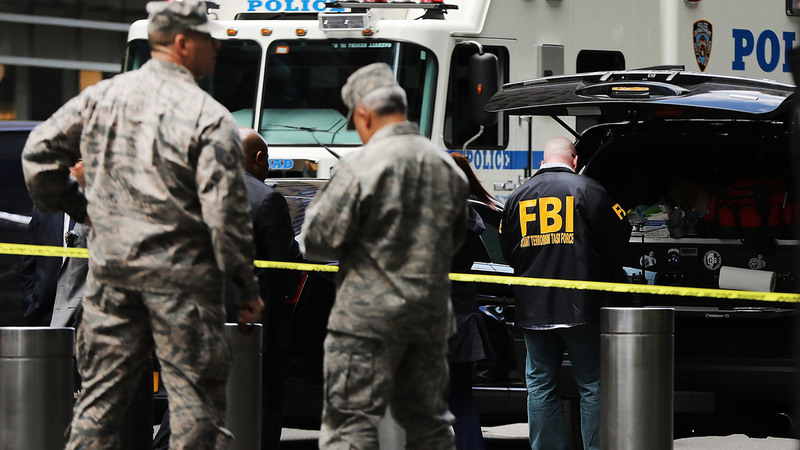 The package sent to CNN, which was addressed to Brennan, contained what "appeared to be a live explosive device" as well as an "envelope containing white powder," New York City Police Commissioner James O'Neill said at the news conference. The package for Holder "did not reach its intended destination, but was rerouted to the return address in Florida," the FBI stated. Police in Sunrise said Wednesday morning that they were "working on an investigation of a suspicious package near Sawgrass Corporate Parkway," which is near the office used by Wasserman Schultz. President Trump, speaking at the White House, said that the "safety of the American people is my highest and absolute priority." "As we speak, the packages are being inspected by top explosive experts, and a major federal investigation is now underway," Trump said. "The full weight of our government is being deployed to conduct this investigation and bring those responsible for these despicable acts to justice. We will spare no resources or expense in this effort." The packages addressed to Clinton and Obama "were immediately identified during routine mail screening procedures as potential explosive devices and were appropriately handled as such," the Secret Service said in a statement Wednesday. "The protectees did not receive the packages nor were they at risk of receiving them." Clinton responded to the incident by saying "We are fine" and thanking the men and women of the Secret Service. Speaking at a Florida fundraiser for Donna Shalala, a former HHS secretary who is running for Congress, she said it is a "troubling time" and that "we have to do everything we can to bring our country together." The NYPD's Miller stated that security officials were visiting offices of elected officials and media and television outlets Wednesday to inform them about what to watch for — and, in fact, he says NYPD officials were in the CNN mailroom when the suspicious package was discovered. The explosive device inside was safely removed by the bomb squad using a "bomb truck," according to Miller, and authorities were working to transport it to FBI laboratories for further investigation, along with the other devices. In a statement, White House press secretary Sarah Sanders said, "We condemn the attempted violent attacks recently made against President Obama, President Clinton, Secretary Clinton, and other public figures." She added, "These terrorizing acts are despicable, and anyone responsible will be held accountable to the fullest extent of the law." "These attempted attacks that have been made are beyond criminal, they are acts of pure terror," said House Majority Whip Steve Scalise, who was shot and gravely wounded during an attack on a baseball practice of Republican lawmakers in 2017. "Violence and terror have no place in our politics or anywhere else in our society." When the Obamas left the White House, they rented a house in D.C.'s Kalorama neighborhood that they purchased months later. The couple have said they want to remain in Washington, D.C., until their youngest daughter, Sasha, finishes high school. A Secret Service police vehicle is parked on the street leading to the Obamas' home in Washington, D.C., on Wednesday. Some media outlets had suggested that the White House had received one, but the Secret Service later clarified that "reports of a third intercepted package addressed to the WH are incorrect." New York Gov. Andrew Cuomo told reporters at Wednesday's news conference that "a device has been sent to my office in Manhattan, which we were just informed about." Cuomo's office later said that "a preliminary investigation on the package at Gov. Cuomo's office shows it is computer files on the hate group The Proud Boys, who recently appeared in New York."